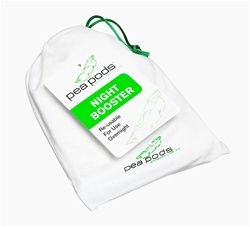 Pea Pods Night Booster provides extra absorbency for overnight or longer periods. Add to your Pea Pods regular absorber. One size fits all.